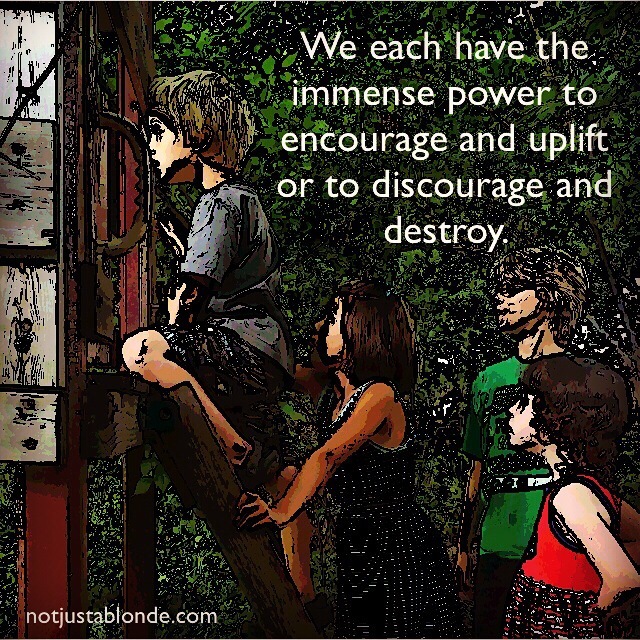 We each have the immense power within us to encourage and uplift or to discourage and destroy. It doesn’t take much to lift up another: eye-contact with a nod, a sincere “thanks”, an “I’m glad you’re here!”… a simple smile. Sometimes it’s the little things we do that are the most meaningful of all! By offering someone a drink when they are thirsty, handing them a blanket when they are cold, a word of encouragement when they are down… we are using our power, God’s power as it flows through us, to make this world, OUR world, a place of healing, of happiness and of love. All it takes to uplift another is a little bit of love.